It's been a minute since Southwest put the ATL->DEN flights on sale but this most definitely qualifies. Most of the cheapest options occur early season which is fantastic for anyone with an Epic Pass who can take advantage of the fact that Arapahoe Basin is frequently one of the first resorts in North America to kick the season off (historically as early as October 10th). Since it's Southwest we are talking about riding in October (alternately through to January) with zero bag fees — I'll take it. 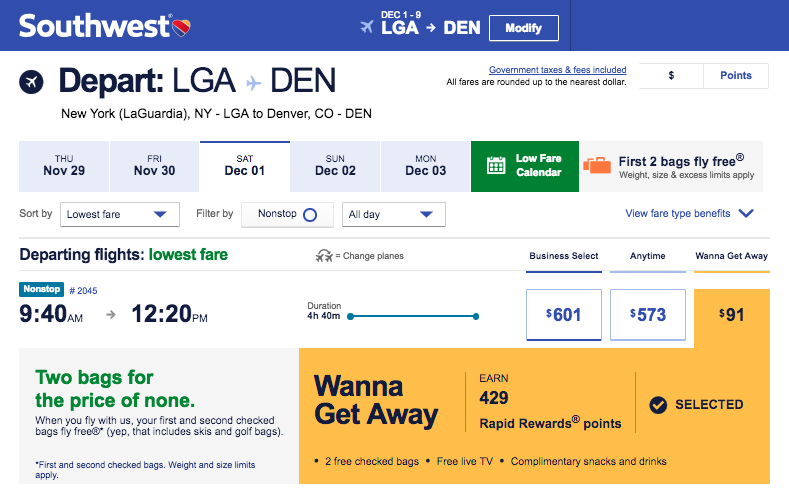 Atlanta to Colorado generally runs in the $250ish range — these cheap flights save 45% and get you there on Southwest Airlines. For anyone who got quasi-burned like I did last year by the early season snow drought, there is a TON of availability during the month of January (although none surrounding New Year's) not to mention later November and December. Although...there are worse places to spend some time than early season Colorado (hiking or otherwise). I would feel pretty good about booking any of the options toward the end of the month, but be aware and watch the reports (and A-Basin's site), things change quick in the mountains. If you go a little later in the year (Mid November on) both Breck and Keystone should also be open — and a stones throw away. That should land you on the right calendar. You are looking for the flights that are $69 on the way out there, and either $91, $108 on the way back. 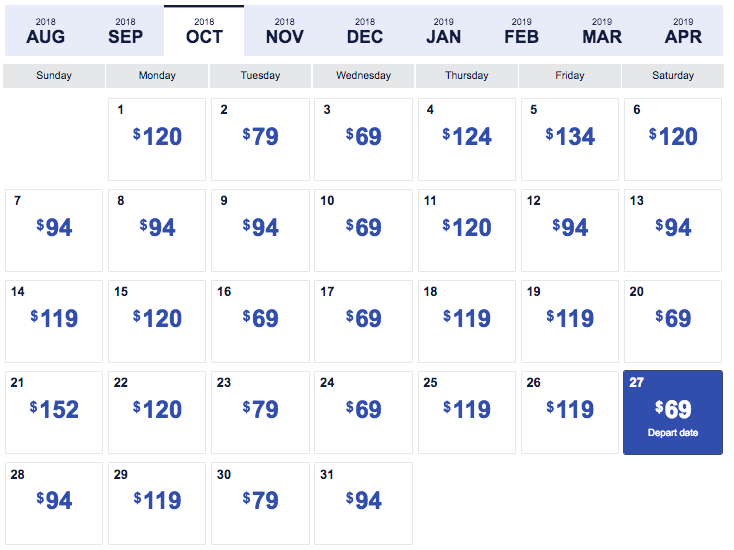 Generally the sale covers straight from October on through January — although the cheapest flights do appear to be at the end of October ($136 vs $146). Once you find one you like my advice is to book that thing. 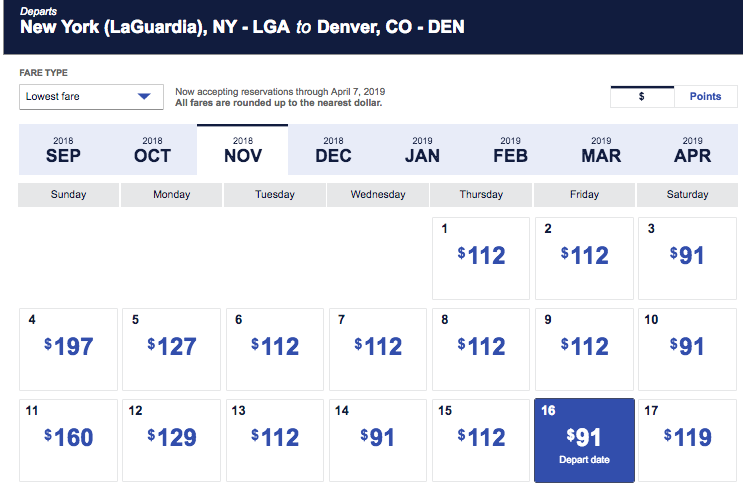 It has been at least 6 months since we have seen Southwest put Ski Season flights to Colorado this cheap.